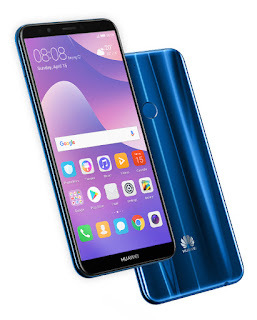 Huawei also unvieled a low end smartphone model with their P20 series.This phone has three variants which are LDN-L21,LDN-LX2 and LDN-TL1. The handset packs 5.93 inch HD+ display with 18:9 aspect ratio.It packed with Snapdragon 450 processor with Adreno 505 GPU.The hardware is mated with 3 GB RAM and runs on EMUI 8 with Android 8 Oreo.It has 32 GB onboard storage and can be expand via sd card slot. The device is equipped with 13MP+2MP sensor on back and 8MP sensor on front for selfie and video chatting.It is fueled with 3000 mah battery.It has three color options which are black,blue and gold.